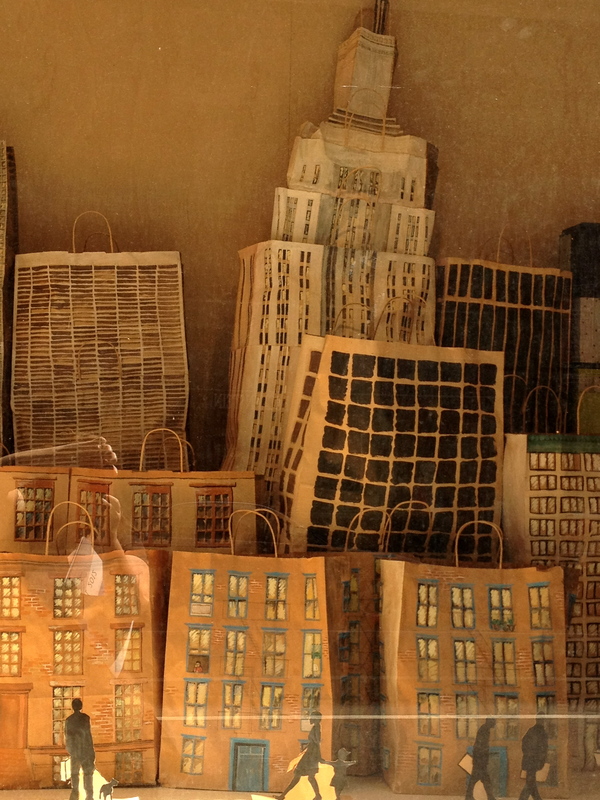 Oh, I love this brown paper bag NYC! Yes, a visit to the Big Apple, camera in hand, is the perfect way to end the summer and transition to the season of “back-to-school”. What creative artwork! Who knew a brown bag could take on such dimensions. I just noticed the little bit of reflection of you in the glass. Very cool! What a fabulous photograph..and wonderfully creative project. Love..love..love this! And – yes – a perfect way to welcome in September!!! I could not agree with you more, Juli. NYC is a most amazing place, and my favorite place to visit. I will actually be visiting in a couple of weeks, and I am SO excited. Your photograph is absolutely beautiful! What a lovely journey you’ve taken us on, as you walk around the “bridge” that is NYC. I could feel the energy of those cafes and cozy neighbourhood restaurants. I loved the brown bag skyline – so imaginative. And I think I caught a glimpse of your hands holding your camera reflected in the window. To new beginnings and fresh starts for you too!